Jeera trading range for the day is 16325-16635. 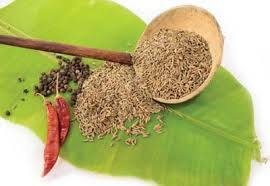 Jeera prices ended with gains on short covering by market players and on increased export demand. However, prices capped some gains on anticipation of higher production from new season and lower physical buys due to higher prices. NCDEX accredited warehouses jeera stocks dropped by 64 tonnes to 10696 tonnes. In Unjha, a key spot market in Gujarat, jeera edged down by -141.65 Rupees to end at 19825 Rupees per 100 kg.